“The ambition of Mars is to have a chart based on colour codes currently used in Great Britain that will be applicable across European countries, including the Czech Republic”, company representatives confirmed. A step disadvantageous for the companies at the first sight has its logic. To indicate a helpful step in the period of fight against kids getting fat, and thus to avoid possible bans or limitations at food production. Sceptics point out that size of portion will matter. A “red” chocolate bar can be divided into two smaller packs and may become “green”. In Britain, the colours are assigned in compliance with legally defined values of sugar, fat and salt per hundred grams or millilitre of food or drink. 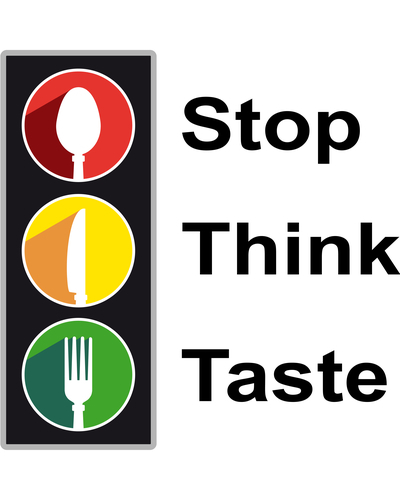 According to Hana Málková, managing director of STOB that is focused on fight against obesity, the key is whether the criteria for semaphore colours will be defined by the companies or experts. “Companies can adapt them to their needs,” she thinks. “I know that this issue had been discussed earlier and these companies did not want to use the semaphores because many of their products would have a red semaphore and this would decrease sale of the products,” she adds saying that she is curious what the outcome will be like. “Application of colour semaphores certainly is a good idea. Such labelling is beneficial for persons who do not want to study detail nutritional values of food that must be indicated on food or who do not have a good understanding of the values and do not know what data to follow and which values to get to,” Málková said. Nevertheless, seemingly accommodating agreement of multinational concerns triggered a discussion. “Giant producers of junk food are accused of an attempt to mislead families by new labels that will make their products healthier,” British Daily Mail armed with the opinion of consumers organisation Which? wrote. The companies were criticised by consumer organisations as well as by some nutritionists. Multinational companies prefer for the colours that encourage or discourage sensitive customers to purchase to be based on portion size for given kind of food rather than on referential values per 100 grams that have been used so far. Such approach is, however, problematic. If the colours in nutritional chart depend not only on the ingredients but also on the portion size, it would not be evident at first sight whether it is better to buy a small chocolate bar or greater waffles. “From my experience in ambulance and seminars I know that the same information for all products, which is per 100 grams, is definitely more beneficial. Data related to a portion are rather misleading, particularly if a portion differs from the size of packaging,” Tamara Starnovská, head nutritionist and therapist of Thomayer Hospital and a member of the Forum for Healthy Nutrition, confirms. According to her, the information campaign for customers that would explain them what the labelling says and in what context it has to be understood will be essential. The route of colour “semaphores” to the packaging will, however, be long. Only when it spreads from Britain throughout Europe, it will come out whether they help customers' healthier nutrition.